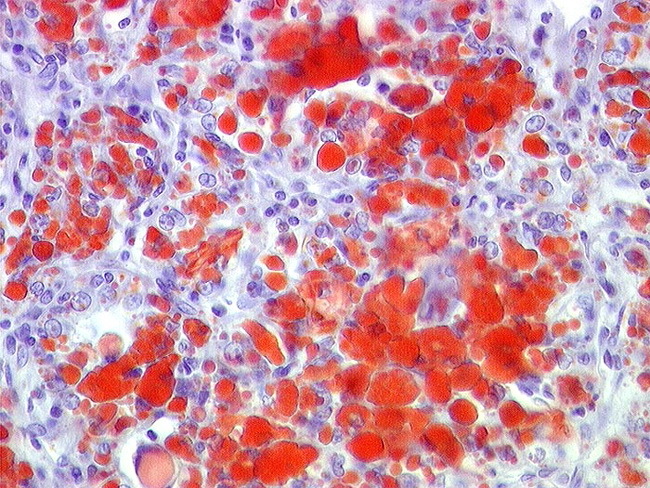 Oil Red O stain showing abundant intracellular lipid in a renal cell carcinoma. The tumor was detected incidentally on abdominal ultrasonography performed after a vehicular accident. Image copyright: pathorama.ch.